Microsoft has made Windows 10 officially available as a free-of-charge upgrade for Windows 7 or 8.1 users, or alternatively as an entirely new installation if the need permits. But you knew that already, right? The latest edition to the Windows family has thus far been a resounding success for Microsoft with users all over the globe waxing lyrical about the company’s boldest platform upgrade yet. With that said, some users upgrading from existing installations of Windows are finding themselves experiencing some issues with adjusting display brightness. Thankfully there’s a fix for that. 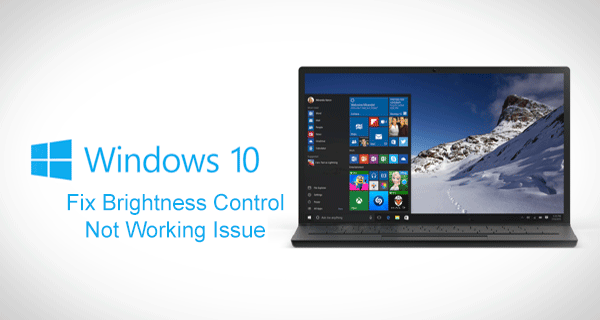 The problem manifests itself by not allowing users to increase or decrease the brightness of the connected display on Windows 10 machines. There’s definitely been worse bugs shipped in major software in the past, but the existence of this issue does cause some concern as it means laptop and notebook owners can’t decrease screen brightness in a low battery situation. The horror. Let’s have a simple step-by-step guide on how to fix the problem. Step 1: From the search functionality type Device Manager. Open the Device Manager application. Step 2: Navigate to the Display adapters entry in the structure. Expand the option and right-click on the driver. Select Update Driver Software from the contextual menu. Step 3: In the resulting interface menu select Search automatically for updated driver software. Step 4: Windows 10 will then use the established Internet connected to download the necessary drivers. 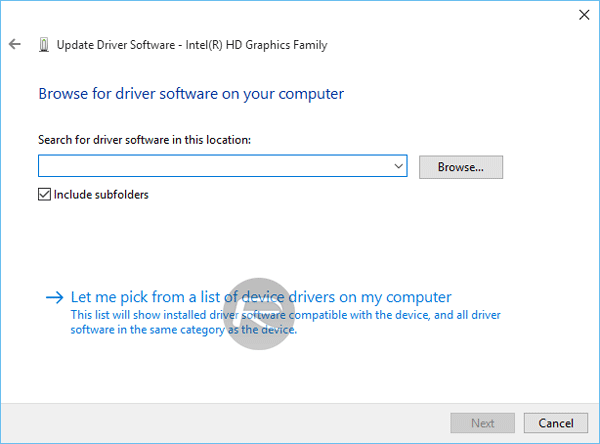 Windows will automatically install the driver and provide a Windows has successfully updated your driver software message. It will also show details of the hardware that the driver pertains to. 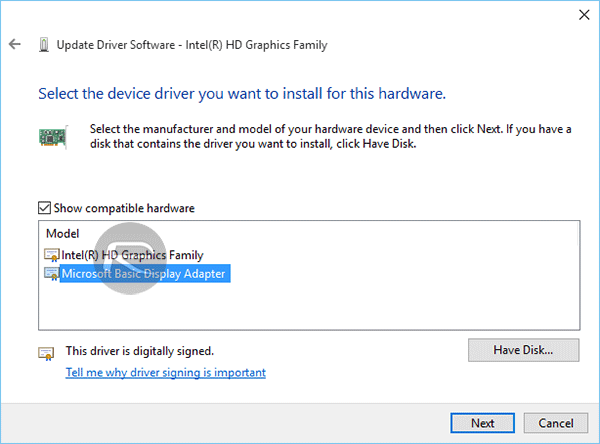 If the above solution didn’t provide any satisfaction then it’s entirely possible that the manufacturer of the graphics card present in your machine hasn’t actually provided any updated drivers yet. Fret not, you can try out this alternative fix. Step 2: Navigate to the Display adapters entry in the structure. Expand the option and right click on the driver. 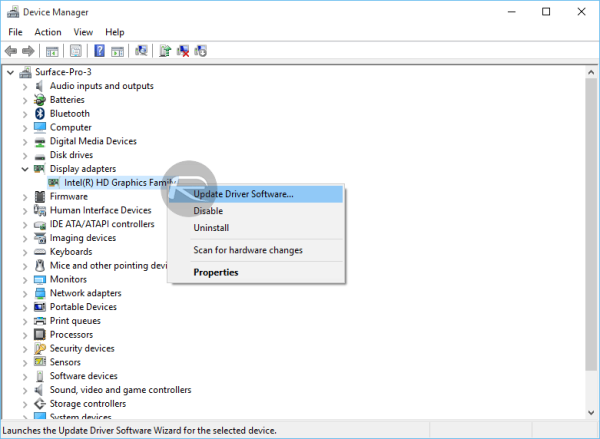 Select Update Driver Software from the contextual menu. This is all starting to sound a little familiar, isn’t it? Step 3: In the resulting interface menu this time select Browse my computer for driver software. Step 4: Select Let me pick from a list of drivers on my computer. Step 5: Under the Show compatible hardware heading, select Microsoft Basic Display Adapter from the list. Select Next to continue. Windows will then install the selected driver and the world shall return to normality. You can now increase or decrease that display brightness at will. I have the same problem. How did you resolve it? This would have helped me if I had microsoft basic display on my laptop, or a monitor tab listed in my device manager. But nope, neither of them are there. hw did u resolv it?? same thing happened in my lap also please if u get any solution please tell.. It really worked! Thanks bruh! I installed the Basic Windows driver from the list and it works! I have AMD Radeon graphics card and a 1920by1080 resolution display. I have the same problem with my Acer Aspire 7741G. I found a fix. I have to change the brightness and turn the light off and on again with the key FN+F6. It works for me but need to do it all the time I want to change the brightness. I hope this will help you. The first alternative helped. Thank you! Many thanks for this – quick solution worked for my Vaio SVP even after the latest Windows 10 update last week. Mine also said it was up to date but I tried searching for software instead of browsing computer and it seems to have found what it was looking for! Just for the record, none of the suggestions on this page or in the comments worked for my Samsung Ativ Book 9 NP905S3G with it’s AMD Radeon HD 8250 display device. I got my brightness function keys to work after I installed the Samsung Update software, and then installed the Samsung Settings component (which says in the description that the fn keys won’t work properly until it’s installed). On Surface 3: After trying everything on this page nothing changed. So then I switch from MS basic display adapter driver back to original (most up-to-date) Intel(R) HD Graphics Driver and that worked. Thank you. It helped me. Have you found permanent fix during the time? No I’m sorry but I did not know any other fix. That did not work. Is there anything else I could try? All it did was disable f.lux. Great !! this solved my issues. Help me please, mine cannot be updated. It says “the data is invalid”, what else i can do? and press enter. It will automatically fix any errors your computer has.